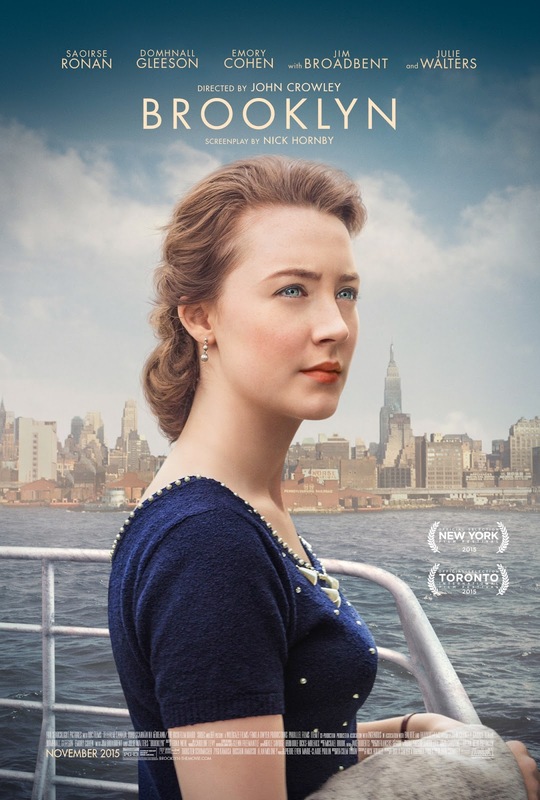 Brooklyn follows Saoirse Ronan’s Eilis Lacey as she journeys over to Brooklyn from her rural Irish homeland to start a new life in that great borough of opportunity. But, all is far from rosy as Eilis struggles to come to terms with her transition. However, a young Italian named Tony (Emory Cohen) soon starts to ease the gnawing homesickness. John Crowley’s film starts promisingly but, like its central character, it takes a little while to really find its feet: a change, in part, marked by Tony’s arrival. It’s Emory Cohen’s heart melting smile that really begins to bring Eilis out of her shell, and Ronan, and the film as a whole, follow suit. Ronan is uniformly excellent as she glides through significant transitional character moments, but her effortless rapport with the marvellous Cohen makes for the most watchable scenes of the film. There’s a central half an hour here that really is extraordinarily good. The themes of home and longing are blended beautifully with the blossoming love between Eilis and Tony, and it’s an absolute pleasure to watch. However, just as things are looking golden for Eilis, a loved one’s passing throws her life off balance. It’s an affecting emotional development, and moves things forward in an interesting way, but this section does drift towards being a frustrating distraction from her time with Tony. But, saying that, it becomes clear that that’s kind of the point. Life is hard, and home can place an almighty anchor on one’s heart. This section does also offer a tender performance from Domhnall Gleeson, and Ronan hits two for two as she once again strikes up a terrifically naturalistic rapport with her co-star. Brooklyn offers a sincerely personal and delicately poignant approach to a nation’s story. Ronan is terrific, Cohen too, but it’ll be Brooklyn’s emotional dexterity that’ll linger the most tellingly.